— The Toyota Corolla line for 2019 will include a traditional four-door sedan (to be revealed later in the year) and the just launched all-new Hatchback. With hatchbacks getting new attention now and in light of some brands getting out of small cars all together, we think Toyota was wise to launch the new Corolla Hatch first for maximum impact. And impact it does. 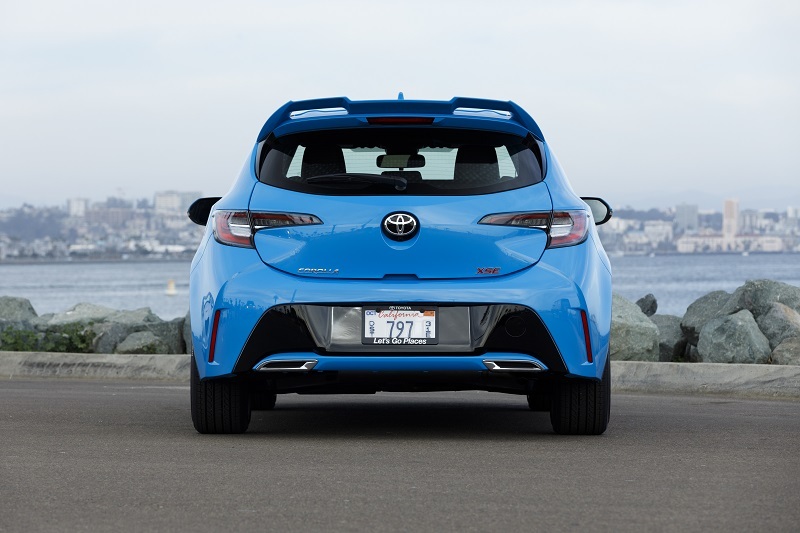 As reported in our earlier story here (http://www.inwheeltime.com/toyota-hatches-big-egg-big-apple/), the 2019 Corolla Hatchback comes in just two trims (XS and XSE). 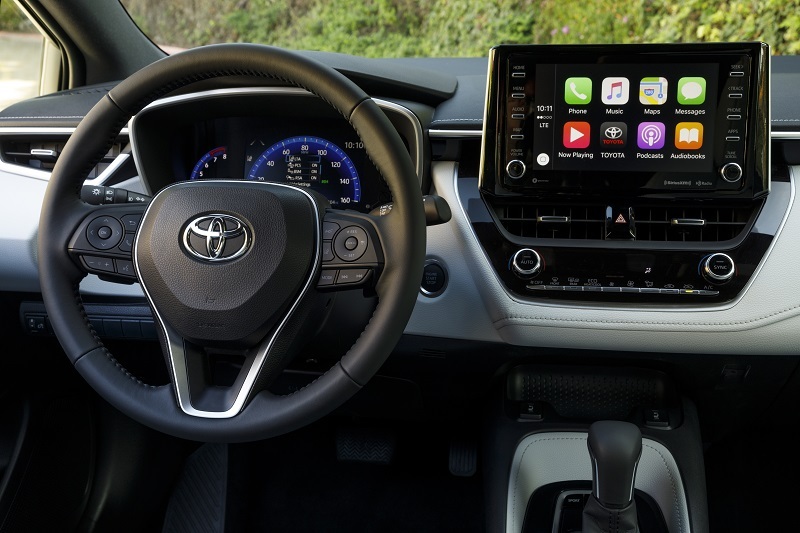 As advertised, Toyota has packed a ton of standard features and functions into those two trims leaving a very short list of available options to chose from which – for value driven consumers – is a good thing. 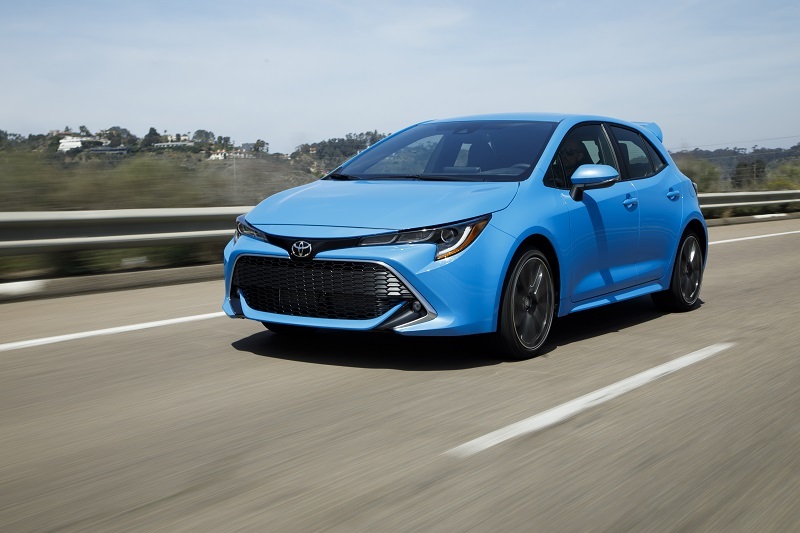 We find, after several hours behind the wheel of both trims, that the new 2019 Corolla Hatch offers a lot more performance and value (compared to the iM it replaces) plus some innovative features in a nifty and fun-to-drive, sporty compact hatchback. 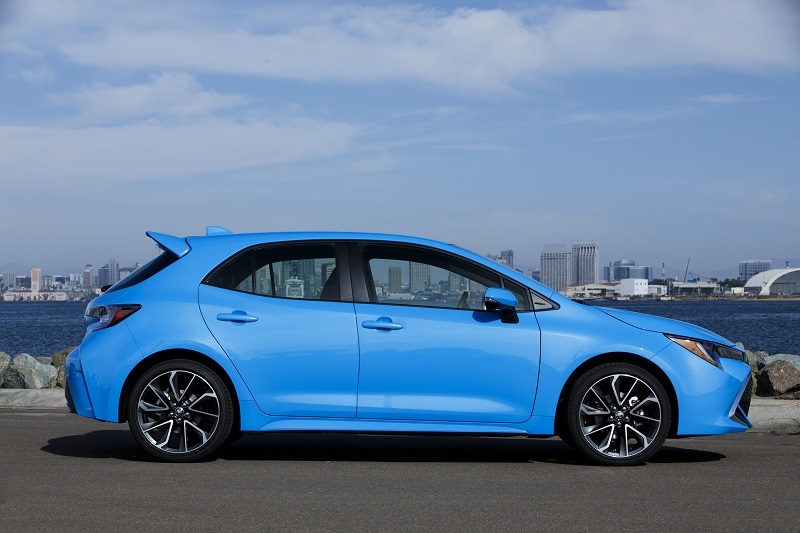 Engineered within the Toyota New Global Architecture (TNGA) framework, the Corolla Hatch features an all-new 2.0L Dynamic Force direct injection, inline four-cylinder engine producing 168 horsepower and 151 lb.-ft. of torque – 30 more horses than the 2018 iM Hatch. 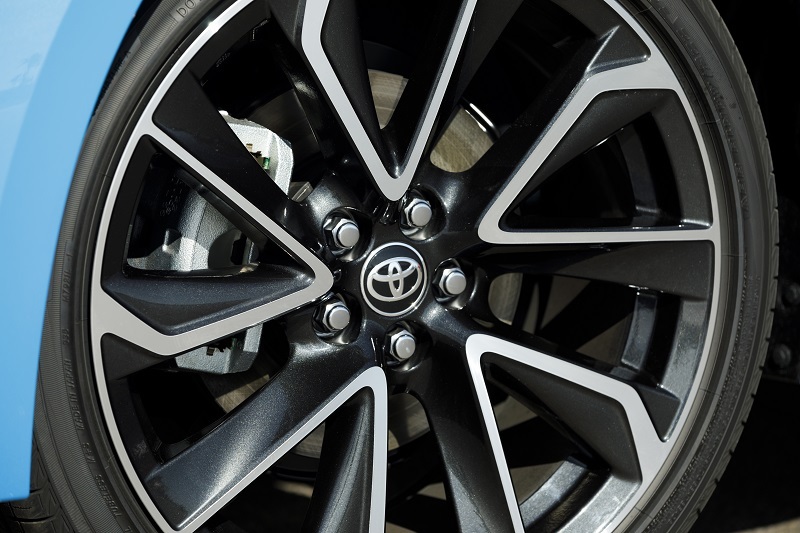 With vehicle weight of just over 3,000 pounds, the added horsepower makes Corolla more zip capable. Enabling the new power plant to put that added zip on the road are two transmission choices. Most buyers will opt for the all-new Dynamic-Shift CVT (continuously variable transmission). 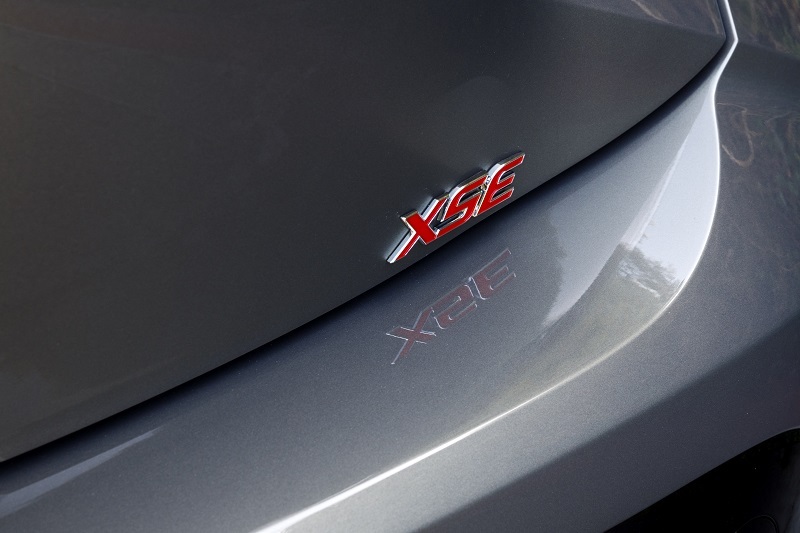 With its 10-speed Sequential Shiftmatic step tuning delivering increased performance and fuel efficiency. But there is more – it also includes a first-ever, CVT Launch Gear. Using a gear drive (instead of belts) – when starting from a stop – the Launch Gear gives Hatch quicker and firmer up front acceleration until the belt drive system seamlessly takes over. Combined, the CVT with the enhanced 10-speed step tuning and augmented with the Launch Gear feature, delivers a palpable more exciting drive experience. 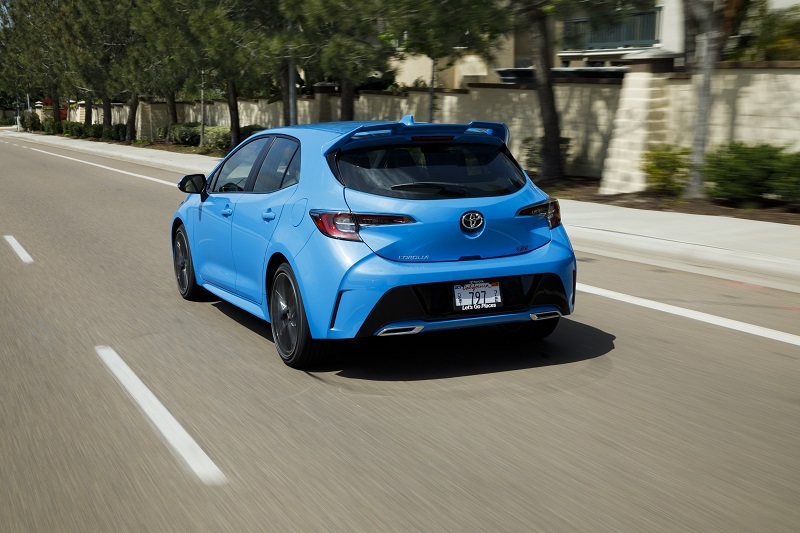 For ‘stick shifters’, the 2019 Corolla Hatch can be ordered with the, also new, 6-speed iMT (Intelligent Manual Transmission) with downshift rev-matching and its own Drive Mode. Yep, a Drive Mode on a manual gear box. 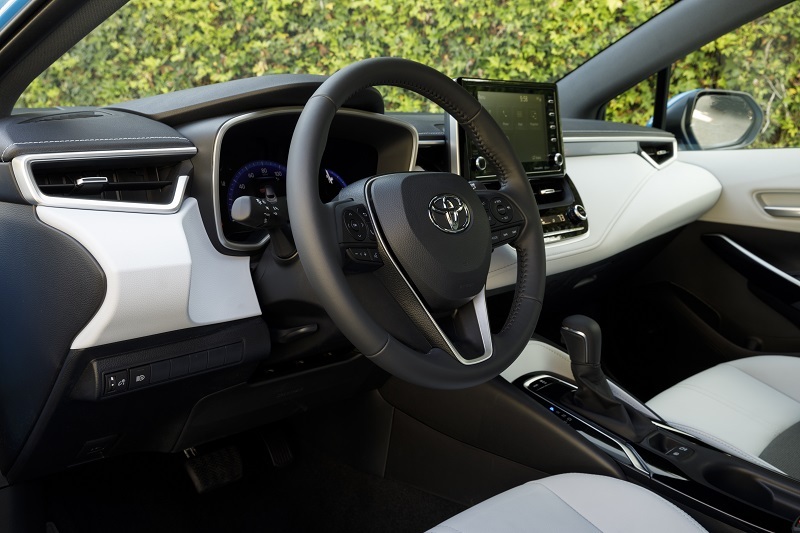 Another innovative feature from Toyota, the driver can push the ‘iM’ button on the console and the Hatch engine will adjust engine revolutions automatically when shifting gears – even if the driver is not quite in optimal clutch-to-throttle synch. Simply, for those not comfortable with a stick shift, it mitigates that dreaded ‘throttle/clutch shudder and/or stall’ experience. Driving without the iM engaged, we found the manual gearbox to be nicely tuned for this engine with crisp clutch/throttle engagement delivering good vehicle responsiveness. Pushing the Hatch a bit – up, down and around the hills above the Pacific near Del Mar – we found the downshift rev-matching added nicely to the drive performance of the Hatch. Underneath, the all-new TNGA platform’s stronger and lighter – yet more rigid – frame, coupled with a revised and updated front MacPherson strut suspension and similarly enhanced rear Multi-link suspension, delivered a more balanced and planted ride. With electric power-assisted rack and pinion steering, Active Cornering Assist with power ventilated disc brakes front and solid disc rear, the Hatch turned, cornered and braked nicely for its size. 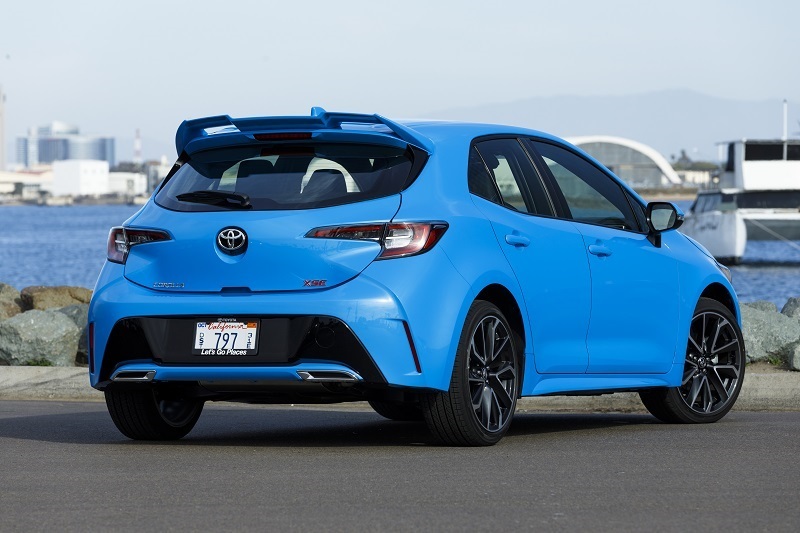 Notably, this applied equally to the Hatch when equipped with either the 16-inch or 18-inch wheels and tires which speaks well to the suspension tuning Toyota has done at each Hatch trim level. Inside the new Corolla Hatch, we found a very much nicer and quieter cabin than previously experienced on the iM. Of note are the simplicity of layout and accessibility of controls. The standard 8-inch multi-media touchscreen at the top of the center stack is a highlight – clear, bright and easy to read. 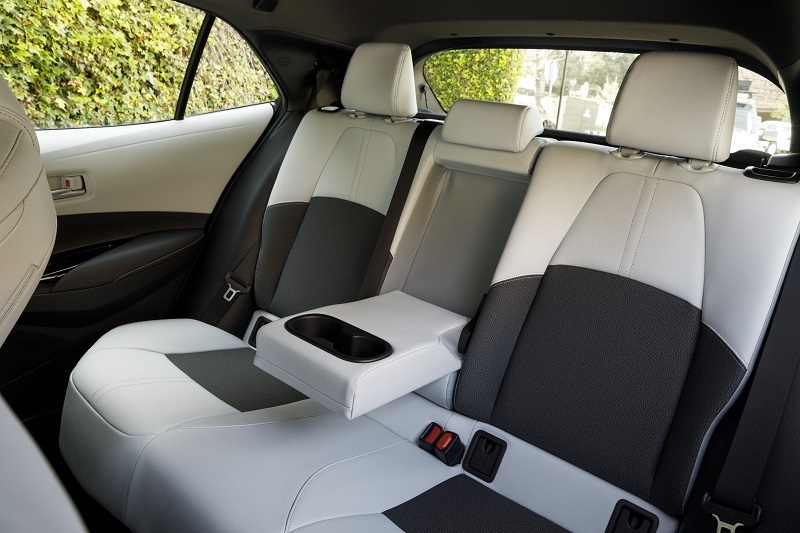 Seating is nicely cushioned, bolstered and contoured for comfortable driving. Interior materials are nicely executed with good texture and tone integration. 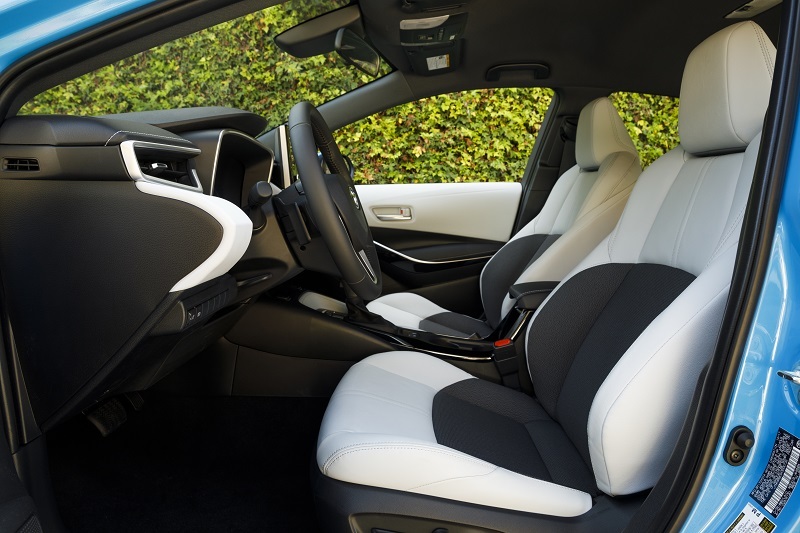 We found the seating materials on both grades to be comfortable and attractive with a nod to the ingrained embossed pattern (matching the radiator grille) in the SE trim level fabric. 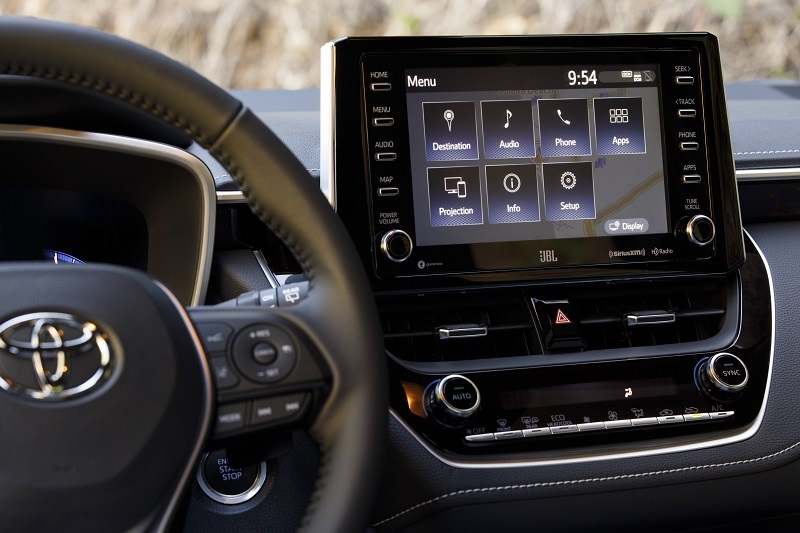 Multimedia in the Corolla Hatch is comprehensive and anchored by three available levels of Entune Audio. Standard, depending on the trim, are Entune 3.0 Audio or Entune 3.0 Audio Plus. The Entune 3.0 Audio Premium Plus – powered by JBL – is available on the XSE trim. 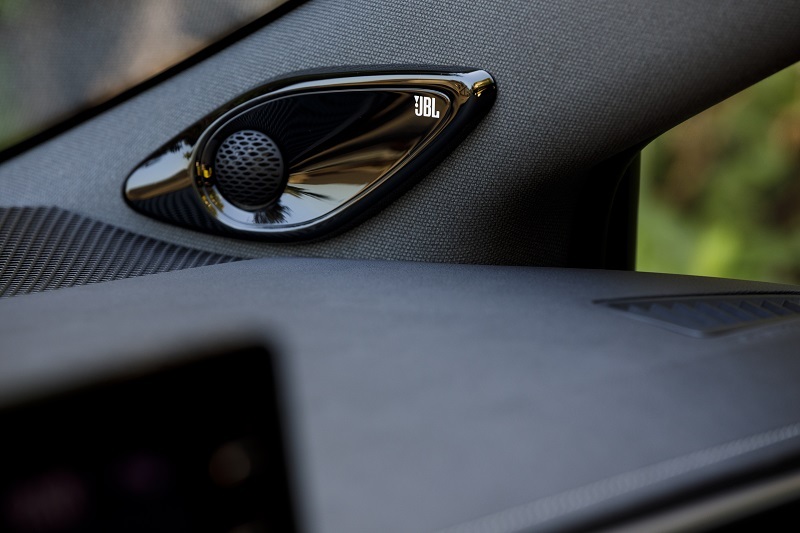 With 800-watts and 8-speakers including A-pillar horn tweeters, 6.7-inch door subwoofers and Wide Dispersion Midrange speakers – the XSE Hatch makes a great music venue on wheels. 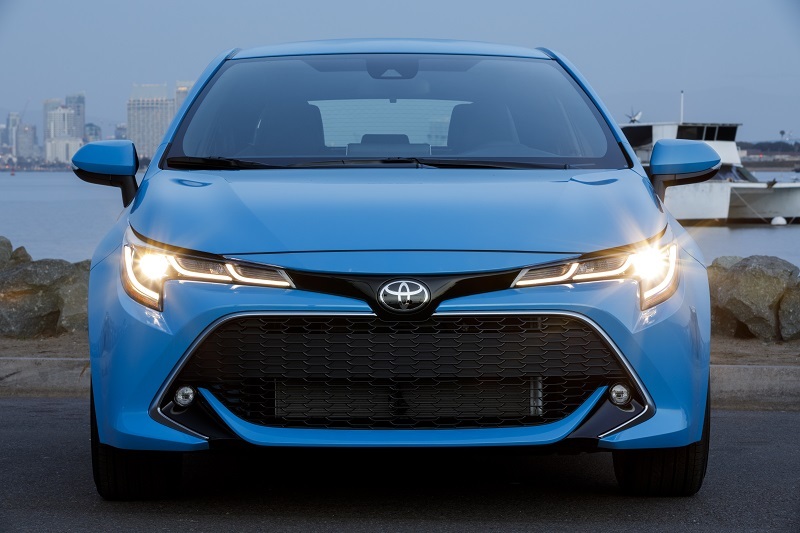 As with the just launched 2019 Toyota Avalon, we were able to experience the all-new 2019 Toyota Corolla Hatch first at the media launch in and around Del Mar, California. Following the launch, Toyota brought a Corolla XSE CVT to the Texas Auto Writers (TAWA) Spring Roundup competition at Eagles Canyon Raceway in Texas. We took several trips around the track in the CVT equipped Hatch over the two days. It handled nicely, braking and steering with confidence at speed into and out of the turns. A few more horses under the hood would have added more excitement with the CVT. Having said that, in Sport Mode with the paddle shifters, we thought it did pretty well. We would like to have been able to wring out the new 6-speed manual gearbox (sans iM Mode) on the Eagles Canyon track – we think it has more to offer than we were able to measure from our drive routes in California. When we get that chance, we will let you know. 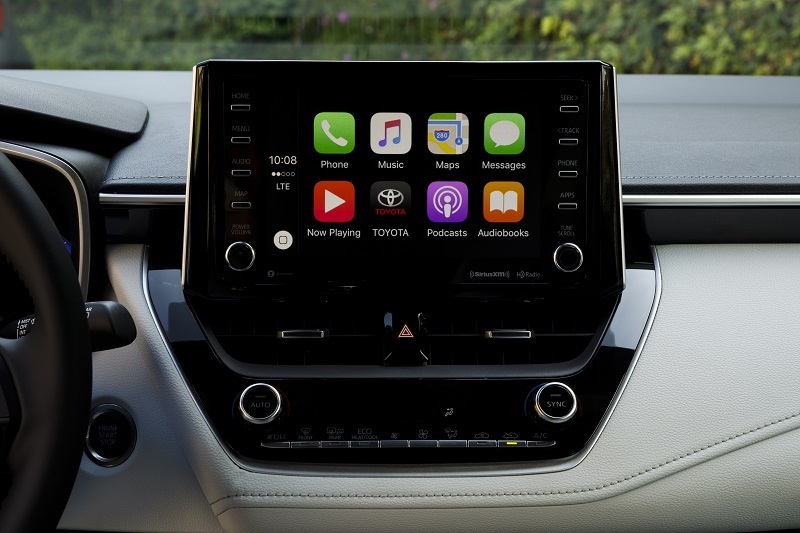 Our recommendation would be – for now – the Corolla XSE Hatchback with CVT and equipped with the optional Entune 3.0 Audio Premium JBL 800-watt, 8-speaker with Clari-Fi audio system. 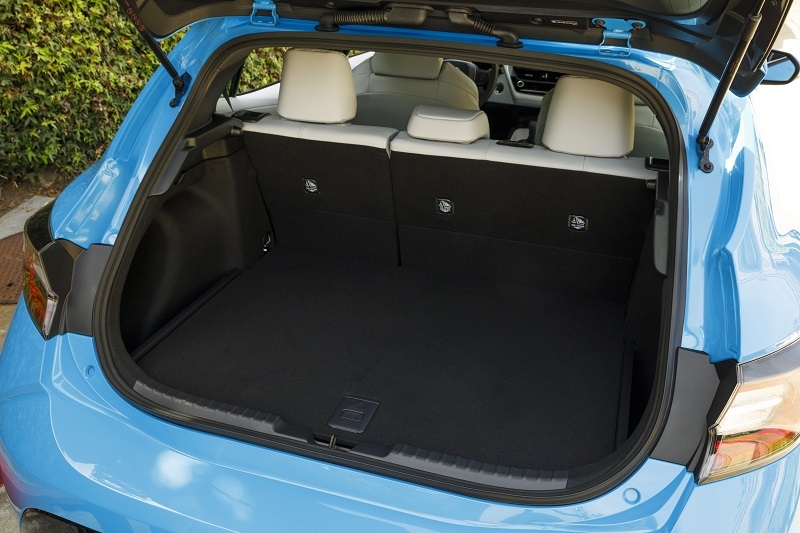 When we get more drive time in the iMT equipped Hatch, we might change our mind on the transmission choice. But, absolutely, the JBL sound system stays. 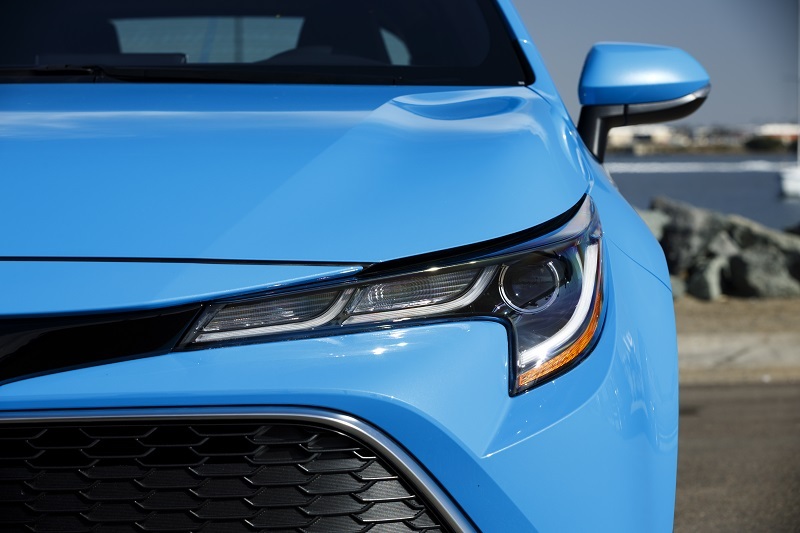 Either way, if a ‘hatch’ is on your compact shopping list, make sure to test drive and compare the 2019 Toyota Corolla Hatchback. Pricing and fuel economy estimates were not available to media at this first drive event. Our thinking is that Toyota will look to keep the base Corolla SE Hatch near the pricing of the current 2018 Corolla iM (MSRP $19,590) which it replaces. That would be a good deal – more and better stuff for much the same price. The new 2019 Corolla Hatch is slated to be available in July. Learn more about fuel economy ratings and pricing as it comes available while staying up-to-date on the arrival schedule for the ‘Hatch’ by visiting: https://www.toyota.com/upcoming-vehicles/corollahb/.